Emergency 1st Aid Training for the Outdoors Environment. 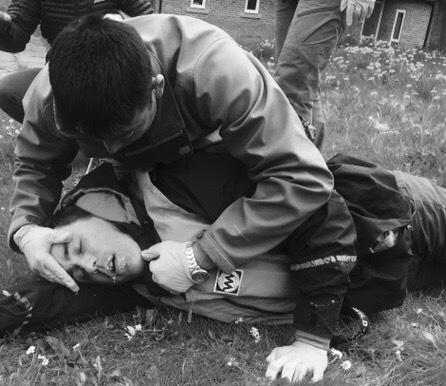 I’m a qualified Rescue and Emergency Care (REC) Trainer, I deliver Rescue and Emergency Care 1st Aid training courses specifically tailored to the outdoor environment. Certified to teach in the lifelong skills sector, I’m dedicated to delivering high quality and effective training, based not only on my theoretical learning, but also drawing upon my extensive experience as a practising Mountain Rescue team medic, Wilderness (WEMSI) Emergency Medical Technician (EMT) and a British Association of Ski Patrollers (BASP) Rescue EMT. If you live, work or play in the Great Outdoors my courses prepare you to take the lead and act effectively in an emergency. In fact if you’re anybody who wants to know what to do in an emergency! Walk on by, isn’t an option. I follow three training principles: Realism, Challenge and Fun. My courses are delivered under the REC programme which emphasise practical hands-on scenario based learning. Combine this with my experience of both incident management and pre-hospital care and my training courses represent significant value for money. Not only do I aim to promote fun in learning but you also get a 3 year 1st Aid Certificate (a requirement for outdoor activity leaders and recognised by National Governing Bodies for Adventure Sports). Following successful completion of the course you receive a certificate from Rescue Emergency Care Services for your logbook. 2 Day Rescue and Emergency Care 1st Aid for the Outdoors. 16 Hours of practical hands on, scenario based learning. This course is designed to allow for learning by doing, where students get plenty of practical experience including an insight into emergency incident management. This course gives you the outdoor leadership 1st aid qualification you need to support your adventure sport leadership qualifications. Learning is on-going throughout the course with no formal test. Cost (2019) £100. Discounts are available for group/club bookings and for returning clients. 8 Hour Emergency First Aid. 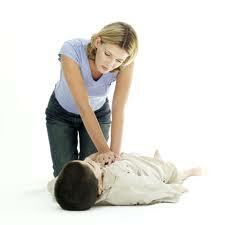 A basic first aid course resulting in the Emergency First Aid at Work (EFAW) qualification. Cost (2019) £70 per head. Specialist Bespoke Courses. Training focused on your particular activity needs. Learning is on-going throughout the course with no formal test. Cost on demand, based on requirement, numbers and venue). Guideline: Minimum cost for a bespoke course is £600 for a minimum of 6 people, plus venue costs, accommodation and travel (unless you can provide). Leaders Incident Management. 4 hours of training providing the skills required to scene manage a medical emergency involving groups in remote locations within the UK. Cost on request. Modular courses are available for the 8 hour programme. These are 2 hour modules, one evening a week, for 4 consecutive weeks (on request). I have a access to a training venue in Catterick Garrison, but can easily come to your site to give context to your training if desired. “I’ve attended 4 REC Outdoor first Aid courses and this was by far the best”. “The course was really well run and very well explained in detail. I have gained a lot of knowledge, which I will take away and use when needed. The best course I have attended. I will be promoting Tim’s course, telling people how good it was and how useful it is to have”. 1 Day dates as required. CONTACT us now. Want a bespoke ‘in house’ course just for your centre/team/club? Just ask, (minimum of 7 people) Costs on request. Act Now! Book yourself, and your team, onto a Rescue and Emergency Care 1st Aid course and learn some life saving skills. Contact us and tell us what you need.